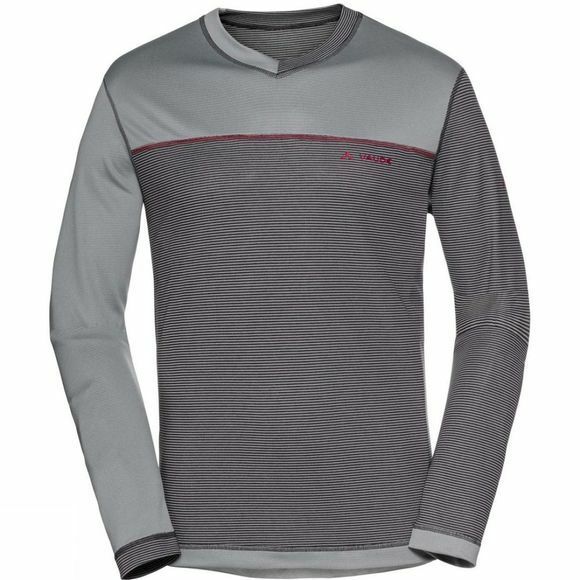 The Mens Moab Long Sleeve III Shirt from Vaude is a relaxed fit, long sleeve reversible v-neck shirt for undecided trail surfers. 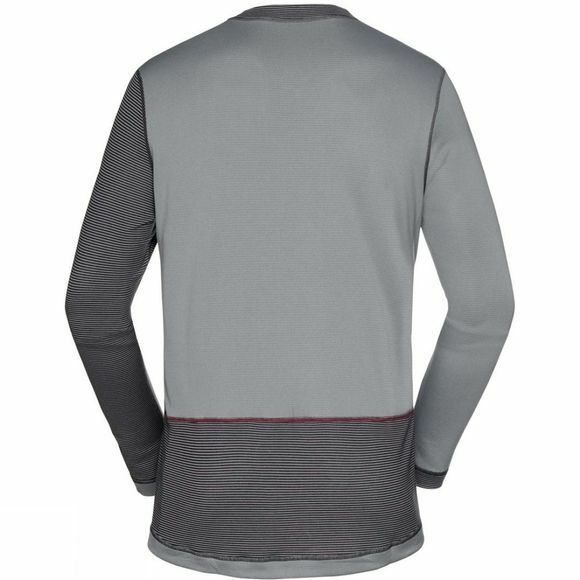 A casual shirt that can be worn two ways: colorblock or stripes, while the lightweight, breathable stretch fabric offers enough room for your own individual style on flowy descents. Tencel fabric made from fast growing Eucalyptus fibers is soft as silk, transports moisture effectively and is superbly comfortable against your skin. The Vaude Green Shape label stands for environmentally friendly, functional products made from sustainable materials.